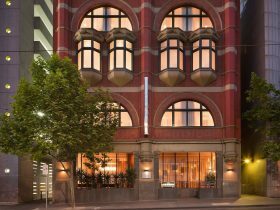 Located in the heart of Melbourne’s dynamic city centre, DoubleTree by Hilton Melbourne – Flinders Street directly overlooks iconic Flinders Street Station. 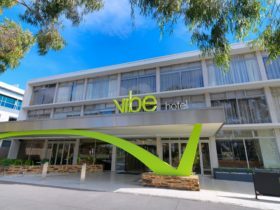 This 180 room hotel is within easy walking distance to Melbourne’s laneways, the vibrant arts and entertainment district that spans Federation Square and Southbank and the city’s best restaurants, bars, cafes and shops. 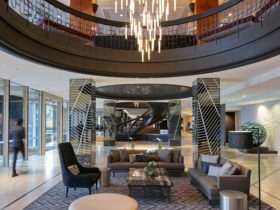 The hotel is design driven and filled with contemporary, warm furnishings and simple, boutique touches inspired by Flinders Street Station and the grand age of train travel. Guests can socialise at the lobby bar and enjoy breakfast, lunch or dinner at Platform 270 restaurant. Room service is available 24 hours a day. Re-energise in the fitness centre overlooking Flinders Street, or if it is time to work there are three flexible meeting spaces. Stylish, modern and spacious, every guest room offers WiFi (fee applies – free for Hilton Honors Members), a flat-screen HD television and desk. Refresh with a selection of luxurious Crabtree & Evelyn amenities in the designer bathroom and enjoy a restful night’s sleep in the plush Sweet Dreams by DoubleTree bed. 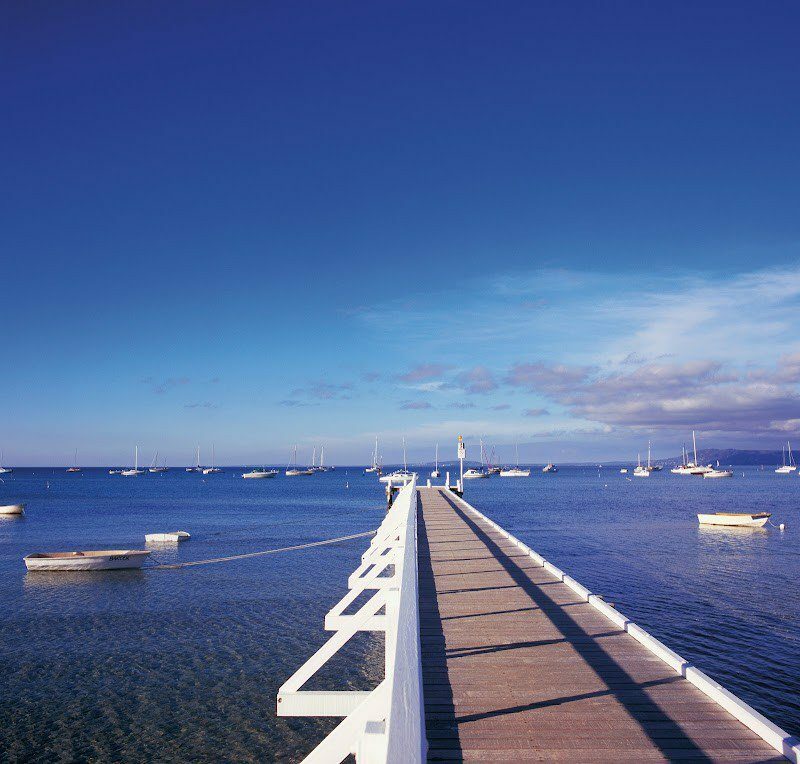 All of this is just 22 kilometres from Melbourne’s Tullamarine International Airport with easy access to the city’s main transport hubs. Enjoy fantastic views of Flinders Street Station and the rest of the city from this spacious room. These modern rooms feature WiFi , a HD television, desk with a work chair, Sweet DreamsⓇ king bed, tea and coffee-making facilities, stylish bathroom with walk-in shower, custom basin and luxe amenities. 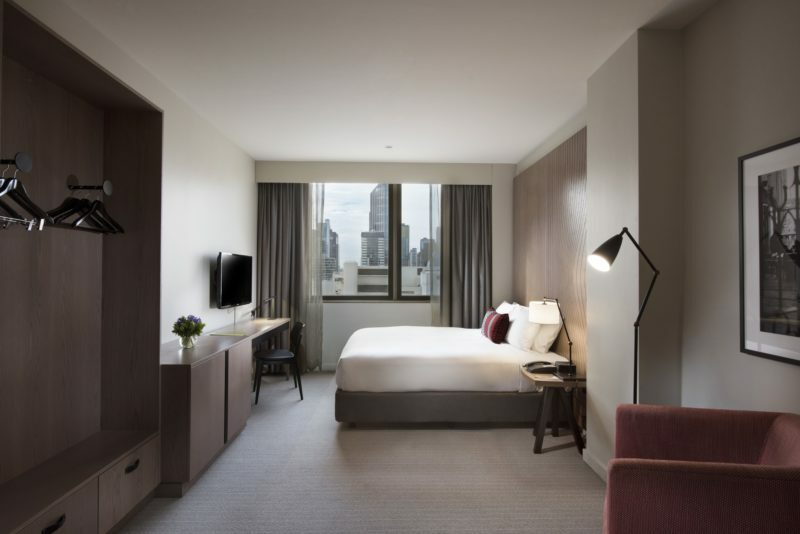 Take in sweeping views of the city of Melbourne from the room’s large windows. These chic, comfortable rooms offer WiFi, a HD television, desk with a work chair, Sweet Dreams king or twin bed(s), tea and coffee-making facilities, stylish bathroom with walk-in shower, custom basin and luxe amenities. Unwind in stylish surroundings in the queen rooms, offering convenient amenities including WiFi, a HD television and a work desk with chair. Superb views of Melbourne stretch out from the room’s large windows. Also featuring a Sweet Dreams queen bed, tea and coffee-making facilities, stylish bathroom with walk-in shower, custom basin and luxe amenities. Interior rooms offer cosy surroundings and a quiet space to enjoy a restful night. King or twin interior rooms include WiFi, a HD television and a modern work area. Also featuring a Sweet Dreams king or twin bed(s), spacious work desk with chair, tea and coffee-making facilities, stylish bathroom with walk-in shower, custom basin and luxe amenities. Choose a peaceful and welcoming interior room, featuring sleek décor and furnishings. Queen interior rooms include WiFi, a HD television and a spacious work area. Also featuring a Sweet Dreams queen bed, ergonomic work desk and chair, tea and coffee-making facilities, stylish bathroom with walk-in shower, custom basin and luxe amenities. 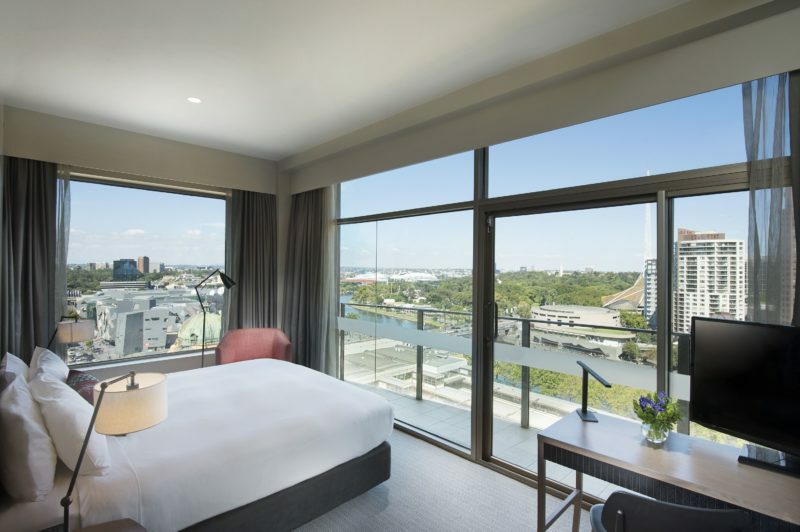 These spacious, high-floor rooms offer panoramic north and west-facing views of Melbourne city centre from large windows. These modern rooms include a HD television, WiFi and a work desk with an ergonomic chair. Also featuring a Sweet Dreams king bed, tea and coffee-making facilities, stylish bathroom with walk-in shower, custom basin and luxe amenities. Specially designed for guests who require additional space and amenities, these accessible rooms feature a roll-in shower, lowered basin and support handles in the bathroom, alongside comfortable amenities including a HD television and WiFi. Also featuring Melbourne CBD views, Sweet Dreams king bed, tea and coffee-making facilities, spacious bathroom with roll-in shower, lowered basin, support handles and luxe amenities. 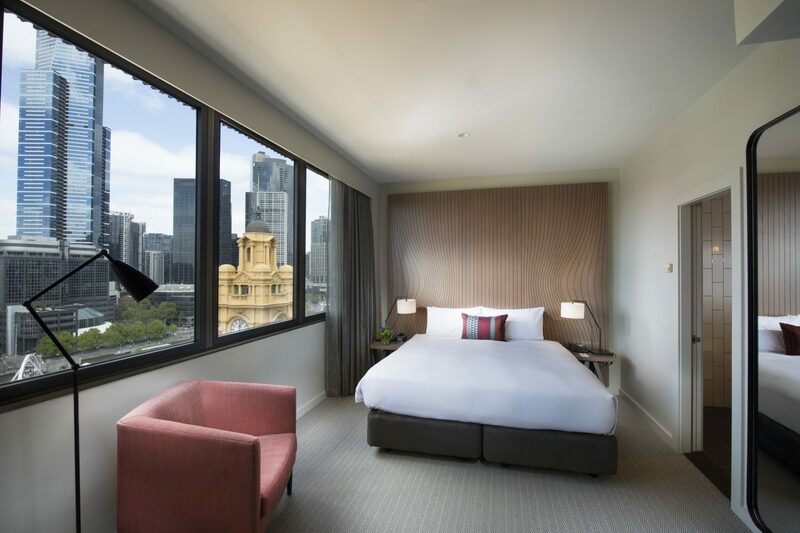 Expansive windows offer superb views of the historic Flinders Street Station and the bustling area around Flinders Street. The room features a comfortable work space, a HD television and WiFi. 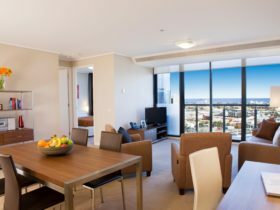 Enjoy panoramic skyline or Yarra River views from the private balcony of this high-floor room. 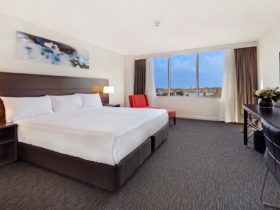 The spacious room features a work desk with chair, a HD television and WiFi. Featuring city or river views, balcony, Sweet DreamsⓇ king bed, tea and coffee-making facilities, stylish bathroom with walk-in shower, custom basin and luxe amenities. 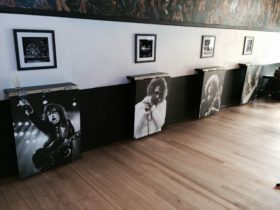 Price will vary depending on room type, availability and time of year.